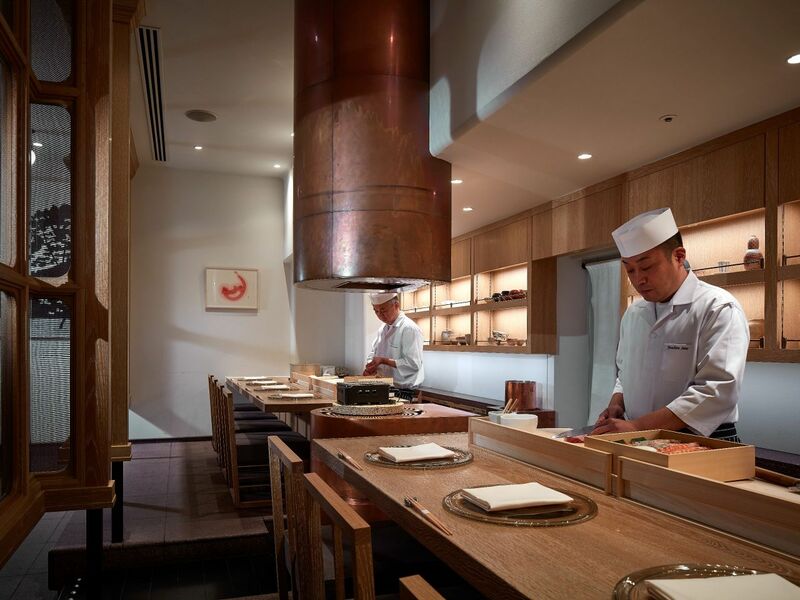 At Andaz Tokyo, experience the culture of Japan through cuisine. Using fresh, local ingredients, our unique seasonal menus bring excitement to your dining experience. 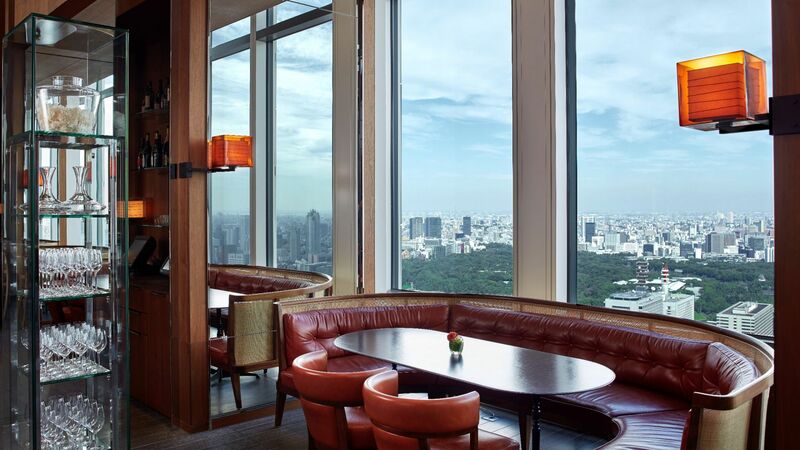 Crowning the hotel on the 52nd floor, the Rooftop Bar offers spectacular night views of Tokyo Bay and Odaiba in a sophisticated semi open-air terrace. 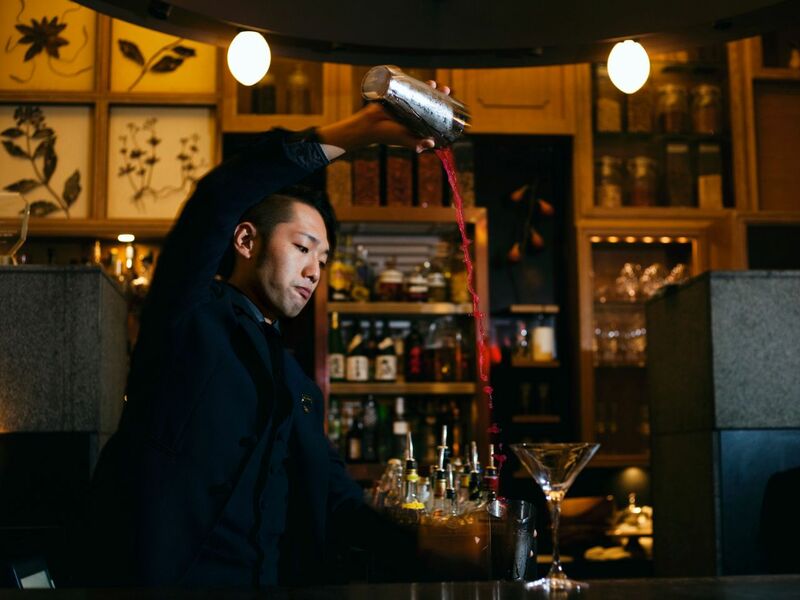 Enjoy the lively atmosphere as experienced mixologists craft innovative cocktails highlighting local seasonal ingredients. The 51st floor The Tavern - Grill & Lounge offers an exciting dining experience featuring local flavors and seasonal ingredients. Specializing in Japanese Snow Aged Beef, taste the unique flavor and soft texture of meat that has been matured 25 days in a natural “Yukimuro” refrigerator. Enjoy dining with a view from breakfast to dinner. *Due to a high volume of in-house guests, breakfast time may be limited on Public Holidays & Weekends for non-staying guests. 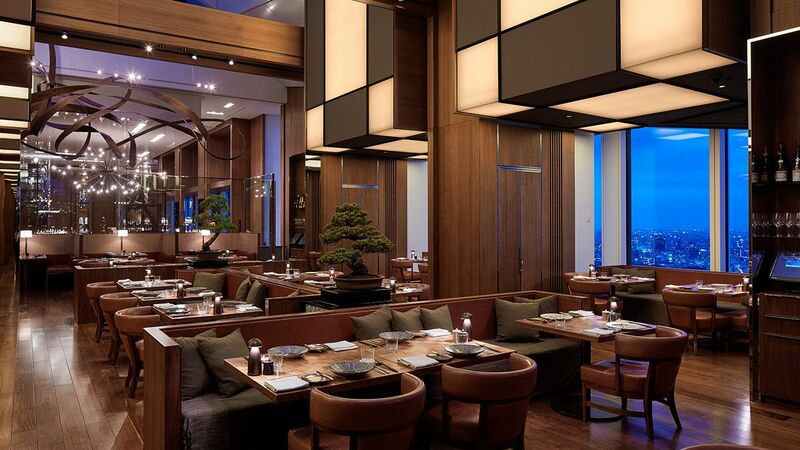 Tucked behind the Rooftop Bar on the 52nd floor, an authentic ‘omakase’ experience awaits you at the SUSHI. Enjoy a glass of our original ‘52’ sake at the intimate eight seat sushi counter, and watch as master chefs prepare traditional edo-mae sushi using the freshest seasonal ingredients. Located on the ground floor, BeBu Café & Bar specializes in original burgers, Japanese draft beer and seasonal party plans featuring classic and creative international flavors. This casual venue is perfect for lunch, dinner and happy hour drinks. Accommodates large groups and takeout orders. 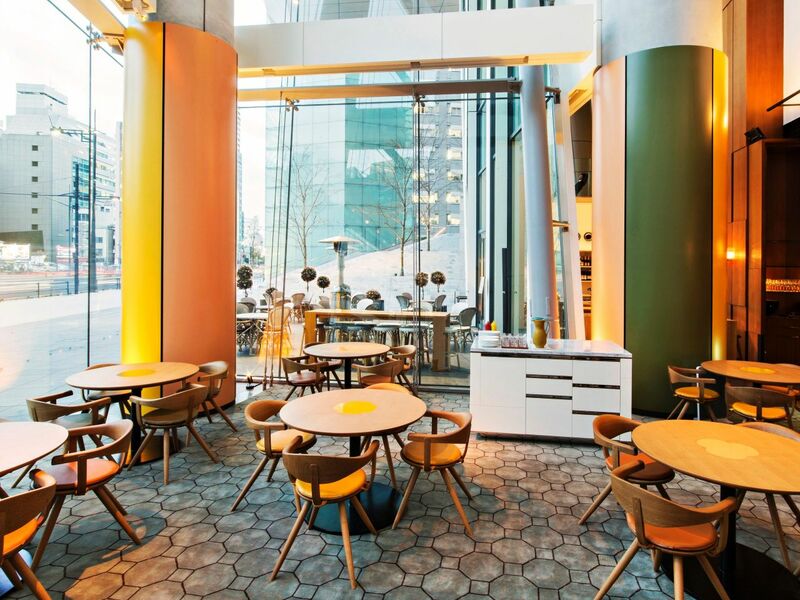 Located on the street level of Toranomon Hills, the Pastry Shop offers a bright space filled with natural light. 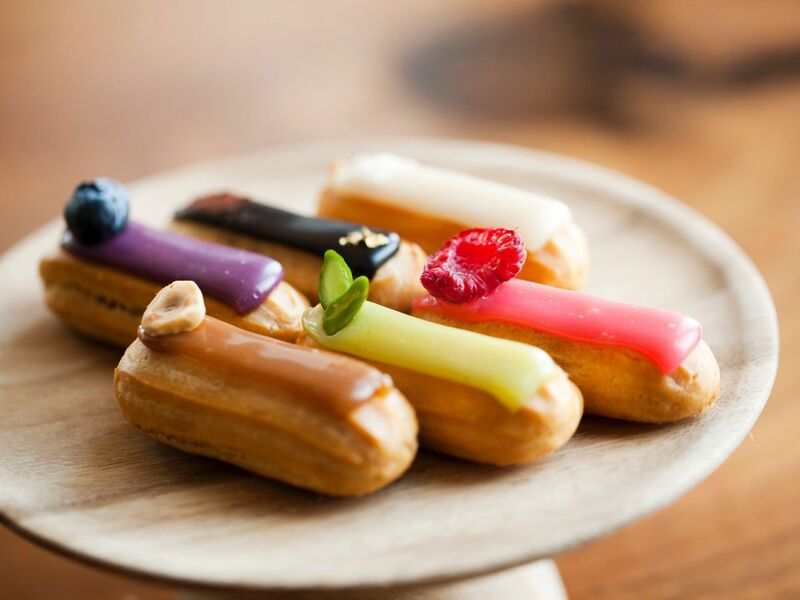 The marble counter features a variety of fine patisserie and signature sweets, including eclairs and sweet jars prepared with seasonal and indigenous ingredients. 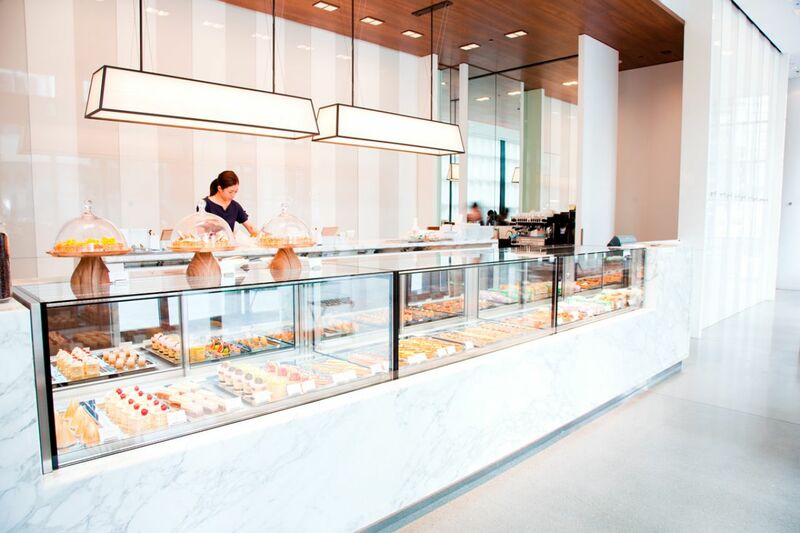 Enjoy a sweet midday break in our open café or select a cake to takeout for a special occasion. For convenient culinary pleasures, 24-hour in-room dining is available for guests. Choose form a variety of options from our in-room dining menu, including an array of wines selected by our sommeliers. From breakfast in bed to a late night snack , enjoy local flavors from the comfort of your room.